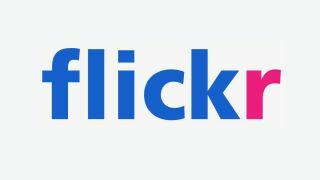 Photo hosting site Flickr has postponed its plan to delete free accounts with over 1,000 photos, which has been pushed back to 12 March from its original D-Day of 05 February. "Based on feedback from our members and complications some members experienced when downloading photos yesterday, we’ve extended our deletion eligibility deadline until March 12, 2019," said the company in an email statement. According to USA Today, the 'feedback and complications' amounted to customer complaints and serious server issues. "The download request produces a zip file with the photos sent back from Flickr. There is a master download everything button, but it takes many, many hours to generate the file. We made the request Monday at 11:30 a.m., and nearly 48 hours later on Wednesday, the file has yet to arrive." While the site has suggested that it will start targeting dormant accounts before deleting active users, anyone using a free account that's over the limit would be well advised to download their files before 12 March. Though of course, there's also the option of upgrading to a Pro account (£3.99 per month for the annual plan or £5.99 monthly).